SALT LAKE CITY, Utah – HARMAN’s DigiTech today announced the introduction of its Envelope Filter 440, the classic “auto-wah” effect that makes your guitar “speak” with vowel-like sounds. The new Envelope Filter retains the unmistakable voice and touch sensitivity of the sought-after original while adding improvements like true bypass, a 9-volt power adapter jack and a choice of Up or Down effect settings. “An envelope filter is one of the funkiest and most expressive sounds ever created for guitar, bass or even keyboards and our Envelope Filter 440 delivers all the ‘quack’ and swept filter tones of the original and then some. There’s really nothing else like it and once you’ve tried one, it’s hard not to resist the way it makes solos and rhythm guitar parts stand out and groove,” stated Tom Cram, marketing coordinator, DigiTech. 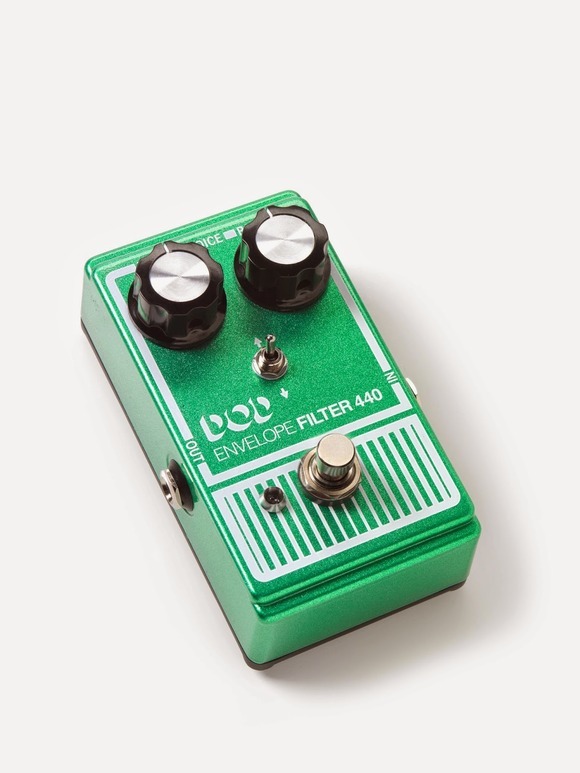 The DOD Envelope Filter 440’s Up setting delivers that classic quacking envelope filter “wah” effect, while the new Down setting emphasizes the lower frequency range – great for bassists who want to rock a room with huge, thundering dub bass. 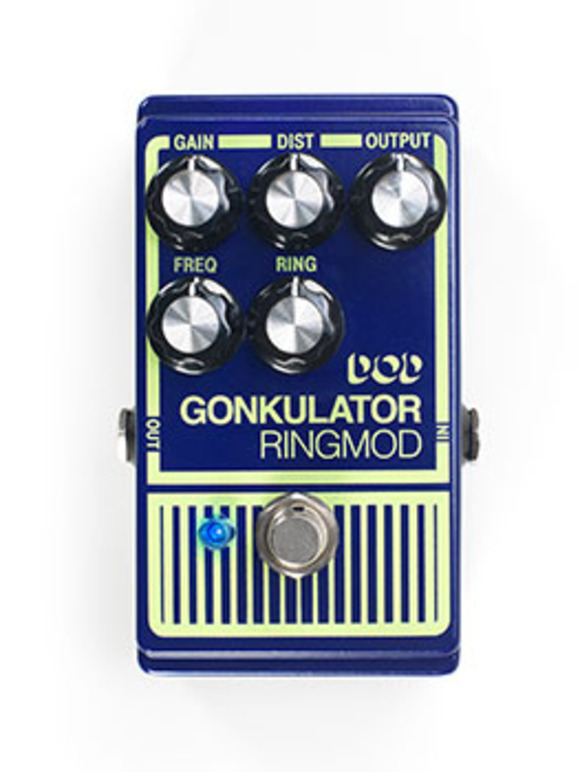 The Level knob adjusts the sensitivity of the envelope to tailor the response of the pedal based on pick or finger attack. With a higher sensitivity, a player won’t have to hit the strings as hard to trigger the effect and vice versa. The Range knob controls the frequency range of the envelope’s sweep – turning it counter-clockwise sweeps more low frequencies and turning the knob clockwise sweeps more of the high frequencies. The Voice switch toggles between the Up and Down settings to choose which part of the frequency spectrum the player wants to emphasize. The new Envelope Filter 440 feature’s true bypass operation, which keeps the tone of the instrument pristine when the effect is not in use – unlike the original, which would color the tone even with the effect switched off. The 9-volt DC power supply input makes the Envelope Filter 440 far more pedalboard-friendly and its bright blue LED indicator is easy to see even on outdoor stages in bright sunlight. And along with its singular sound, there’s no mistaking the pedal’s retro-cool graphics and bright green paint job. 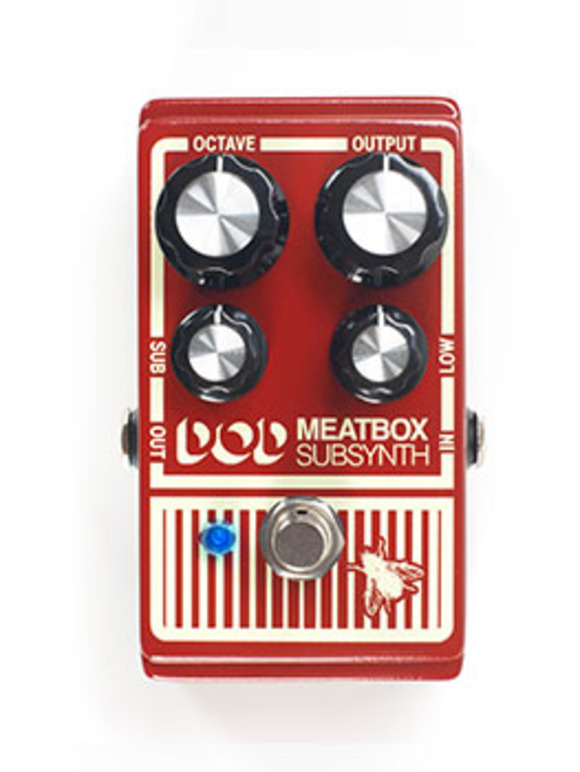 The DOD Envelope Filter will be available in June 2014 at a suggested retail price of $149.95.